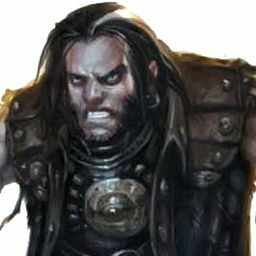 Avimar Sorrinash has risen swiftly through the ranks of the pirates of the Shackles, becoming one of the most feared and bloodthirsty of the Free Captains. 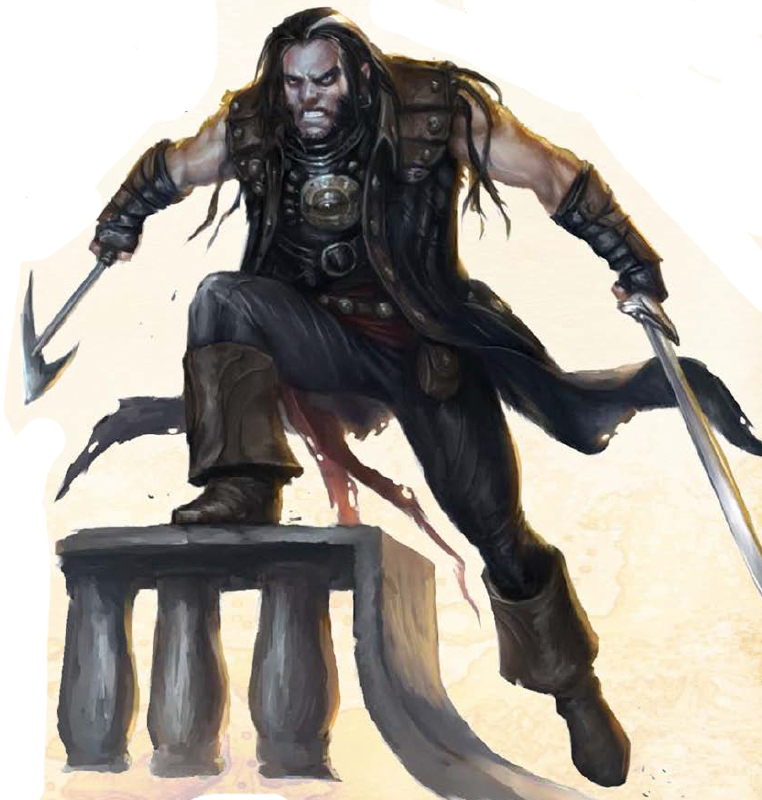 He soon gathered a fleet of like-minded pirates around him, and laid claim to the port of Ollo on Shark Island, thus securing himself a seat on the Pirate Council. Sorrinash lives only for the chase and bloodshed of the open sea. Even his visits to his home port see him and his crew of werewolves rampaging across the island’s countryside, indulging in bloody hunts with each full moon. Avimar is lascivious, spiteful, and used to getting his way, and his manners and goodwill only extend so far. Under the influence of strong drink, Sorrinash becomes more belligerent and prone to acting on his baser instincts.